Location of fuel pump relay on 1995 1/2 ton chevy pickup? The fuel pump relay is Its in the underhood fuse/relay center. Here is a guide to help you test it and diagrams below to show the location. Put new pump in and now I am not getting power to my pump. Check little fuses they all good. Need help finding pump relay switch. Are you cranking the engine while checking for voltage to the pump? What symptom are you trying to solve and what led up to the problem? Have you checked for spark? Am not getting no power to the fuel pump only power I am getting is the fuel level that is to the purple wire. Have no power whatsoever to the grey. After I put the pump in it fired up ran good in my driveway then when I went to take it for a ride and give it gas it sounded like it was starving for gas. When I downshifted it from third to second it just shut off. I had no gas or power to the pump. Have you checked for spark or did you get stuck on the first thing you found missing? Fuel supply system failures account for about four percent of crank/ no-starts. Loss of spark accounts for about another one percent. Loss of spark and fuel accounts for ninety five percent of these no-starts. Once I know if you have spark, I can figure out where to start the diagnosis. Also, you did not tell me if you are checking for voltage to the fuel pump while cranking the engine. You had better not have voltage to it if the engine is not rotating. Only thing I had I was testing with a test light. I will be back tomorrow to see if you checked for spark or answered any of my other questions. You should have zero volts feeding the fuel pump unless the engine is rotating. VIN code? California model? See image. I doubt it is a california model, it was purchased new in Ohio. Is the VIN code part of the VIN number? Sorry, I am researching this for my boyfriend so we are back and forth on the phone as I am serching for an answer. He has been trying to get the truck to run for over a week now, and has replaced the fuel pump 3 times! Also, he replaced all the fuel lines. The truck starts, but will only go a few yards. I believe he also said the psi is low? Thank you SO MUCH for your time in replying to me! Yes, the VIN code is part of the VIN#. Have him spray carburetor cleaner into the air intake and see if that keeps the engine running. If so, he has a fuel delivery issue. 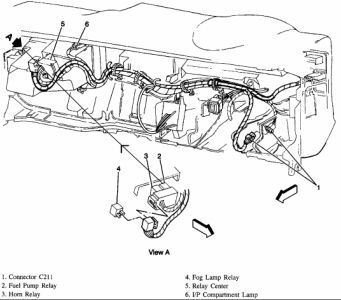 No matter which engine (VIN code) it is, the fuel pump relay is located in or near the main relay/fuse/junction box. The code basically tells us which location in the box it is. You said he mentioned the fuel pressure was low. How low? Can he rent or borrow a fuel pressure tester from a parts store to check? Have him listen for the relay and pump activating when he turns the key to On and Start. 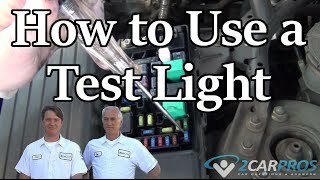 Have him use a meter or test light to see if the fuel pump (in the fuel tank, at the top) is getting power. V8 two wheel drive automatic. I cannot find the relay for my fuel pump. I had to replace the rubber lines due to cracks and wear, I did not disconnect the wires to the pump when I dropped the tank. I removed the pump and placed a plastic bag over it to protect it from debris, then poured the old gas out. I replaced the lines, re-installed the pump and tried to prime the pump by switching the ignition on/off but now I do not hear the pump running or the relay. I checked the fuses and were good but could not find the relay. I bought the replacement part hoping to make a visual match but no luck. Any answers? On firewall passenger side two relays bolted to wall pump on right. I saw where you speak of but only one relay and is nowhere simillar to the repacement I bought from autozone. 1995 Chevy Truck Fuel Pump Dead? ?